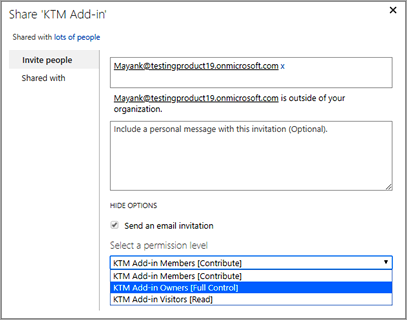 Problem Guest user site: How can a guest user with permission to create site collections add the Add-in to his site? 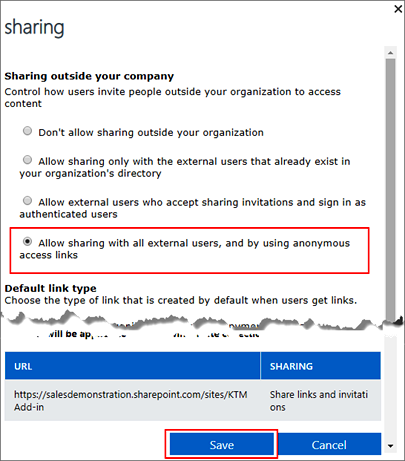 Go to the SharePoint Admin center, select the App Catalog site and click on Sharing. The Sharing window open. Check the box for ‘Allow sharing with all external users, and by using anonymous access links’ and click on ‘Save’. 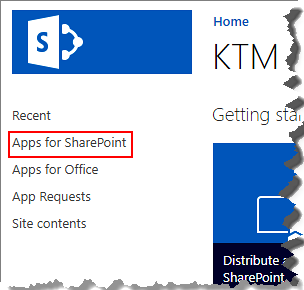 Go to the App Catalog site and click on ‘Apps for SharePoint’ in the left panel. Click on ‘Share’ on the top right corner of the ‘Apps for SharePoint’ page. The Share window opens. 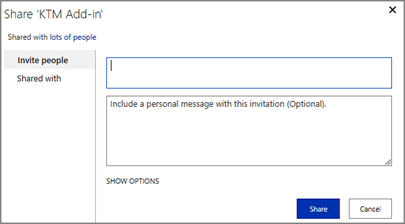 Enter the e-mail address of the guest user in ‘Invite people’. At the bottom, click on 'Show options' and select the permission level to Full Control from the dropdown. Click on Share. The guest user will receive an e-mail invitation with the link to the App Catalog site that you have shared. 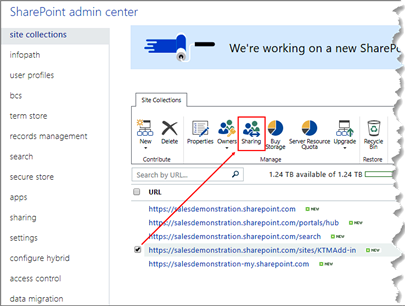 The guest user can go to the App Catalog site and upload the SharePoint Add-in.